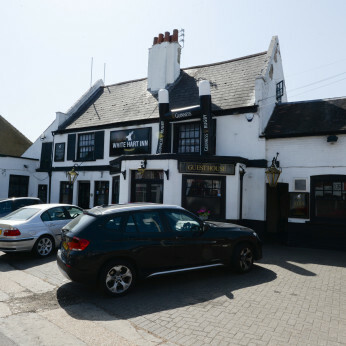 The White Hart Inn is an ideally situated family run pub & guest house in Whitton, Twickenham, sitting only 10 minutes from Twickenham Rugby Ground and Whitton BR station with a 25 minute train journey to London Waterloo. Drinks include: all draught lagers, ciders and ales, all bottled beers, 175ml wine, all spirits with mixer (excluding Red Bull), equivalent value soft drinks or tea & coffee. Is spring nearly here? We will be redesigning our garden soon in anticipation of an early spring and great summer like last year. Dogs are welcome but must be supervised at all times remembering young children use the garden.